C.V. Joint-Wonh Industries Co. Ltd. Constant Velocity joint is an important component in the transmission system. Its function is to transit the power generated from the engine from transmission to wheels while reducing the bump of the suspension. There are many types of C.V. joints. The most widely used are BJ, TJ& DOJ types. The main parts of C.V. joints are machined by precise forging processing due to the heavy loading in operation. 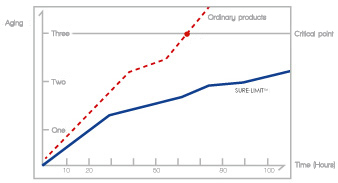 Focus on improving the friction coefficient and the lubrication of the frictional surface, SURE-FRIC technology can enhance the anti-friction ability and effective lubrication and cooling. 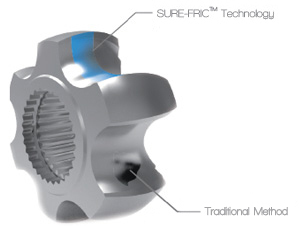 Our experimental data shows that by applying the SURE-FRIC technology to the parts, the overall service life extended by over 20% as compared to the traditional process. Wonh Industries Co, Ltd. was founded in 2005 (Formerly known as Wanhang Auto Parts Mfg. established in 1996). Focusing on long-term and sustainable development concepts, the company is positioned to be a resource optimization and integration expert in Automotive and Power Sports Industries.